The Alarm.com 600-1048-XT-LTE-AT is a cellular AT&T LTE alarm communicator designed for use with the Simon XT, Simon XTi and Simon XTi-5 control panels. The 600-1048-XT-LTE-AT enables wireless reporting of all alarms and other system events from the Interlogix Simon XT/XTi/XTi-5 control panel(s) using the AT&T LTE wireless (cellular) network to the GeoArm central monitoring station. The module can be used as the primary communication path for all alarm signaling, or as a backup to a telephone line connection to the GeoArm central monitoring station. The wireless alarm signaling and routing service is operated by Alarm.com. The 600-1048-XT-LTE-AT LTE communicator also features integrated support for Alarm.com's emPower™ solution with built-in Z-Wave capabilities and for Alarm.com's Image Sensor through the built-in Image Sensor radio. Two-Way Voice is conducted over the AT&T LTE network, however, this feature is not supported by GeoArm. 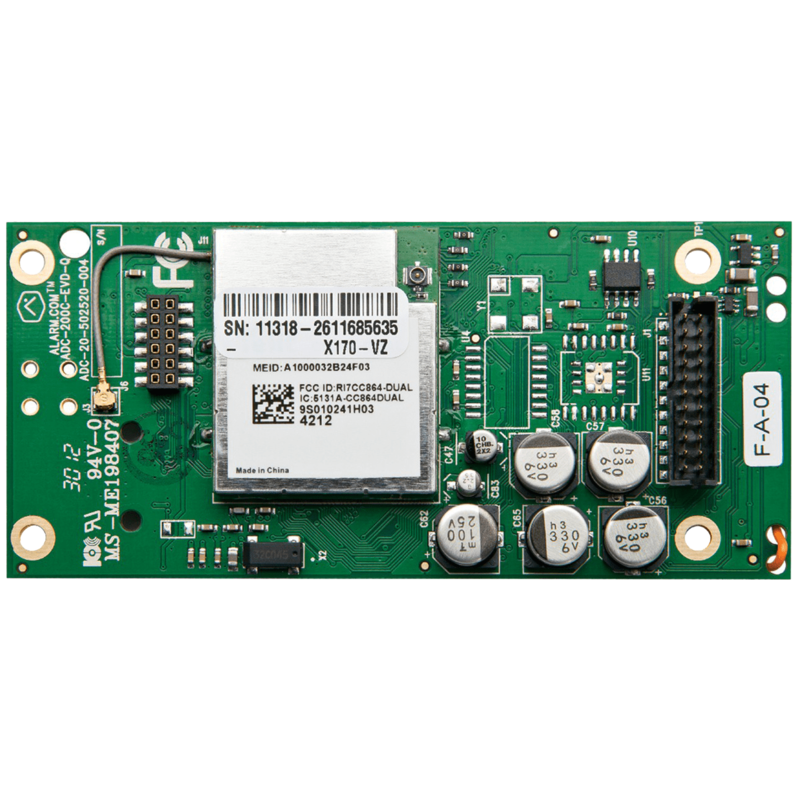 The 600-1048-XT-LTE-AT module interfaces with the Simon XT (version 1.3 and up), Simon XTi, and Simon XTi-5 panel boards, fits into a special compartment inside the panel, and is powered by the control panel and panel battery. Dimensions (H x W): 4.06" x 1.87"